Senate Majority Leader Mitch McConnell, R-Ky., April 10, 2018, speaks on Capitol Hill. Senate candidate Mitt Romney delivers his speech to the delegates at the Utah Republican Nominating Convention, April 21, 2018, at the Maverik Center in West Valley City, Utah. “Getting the right candidate out of the primary often makes the difference between winning and losing the general election. It’s absolutely critical,” said GOP strategist Whit Ayres. “The machine is empowered” in midterms, said associate professor Thomas Whalen, an expert on political parties at Boston University. With a two-seat majority and Sen. John McCain battling cancer in Arizona, Senate Majority Leader Mitch McConnell needs all the votes he can get. And, if the Senate is expected to serve as a counterbalance to a potential Democratically-controlled House next year, the pressure is on the party to perform in November. The GOP leader has overseen some close Senate votes in the past few weeks: Jim Bridenstine was narrowly confirmed to be the next NASA administrator after Republican Sen. Jeff Flake held back his consent before finally voting yes. And when Republican Sen. Rand Paul of Kentucky declared he was a “no” on secretary of state nominee Mike Pompeo, McConnell needed a Democrat to help him get Pompeo over the line. He lucked out and got two and then Paul decided to support Pompeo, but the next vote may not turn out as well for the GOP. Fortunately for McConnell and the party, the math for 2018 favors the GOP. Republicans are only defending eight seats this cycle to the Democrats’ 24 and 10 of those Democratic contests are in states Donald Trump won in 2016. 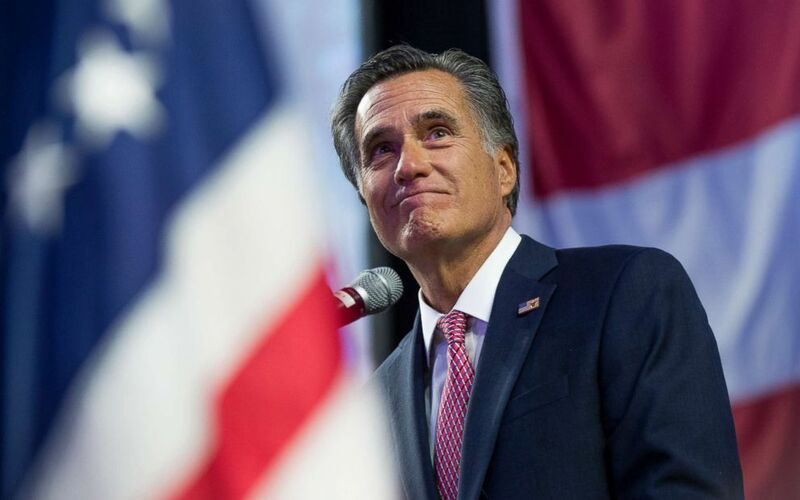 This past weekend Romney, who has criticized Trump in the past, was forced into a June 26 primary with state Rep. Mike Kennedy, who was the preferred candidate of the conservative delegates who made up the convention. While Romney is expected to prevail in November, there are some other contests where the winner of the primary may not be the party’s strongest option in the general election. Republicans are closely watching West Virginia’s May 8th Republican race, where outside spending groups have already spent $1.4 million in the GOP primary contest, according to Federal Election Commission reports. Former coal mine executive Don Blankenship was the CEO of Massey Energy Company when 29 miners were killed in the Upper Big Branch Mine disaster in 2010. He was convicted of a felony in the aftermath and was released from last year. He’s battling against Rep. Evan Jenkins and state Attorney General Patrick Morrisey. “One of the strongest Republican candidates spent time in jail,” Ayres noted. If Blankenship wins the nomination, Republicans fear Democratic Sen. Joe Manchin, who is seen as vulnerable this year, could have an easier chance at re-election than a different nominee, several GOP strategists said. In Arizona, Joe Arpaio, who calls himself "America's Toughest Sheriff,” is competing against fellow conservative Kelli Ward and Rep. Martha McSally. 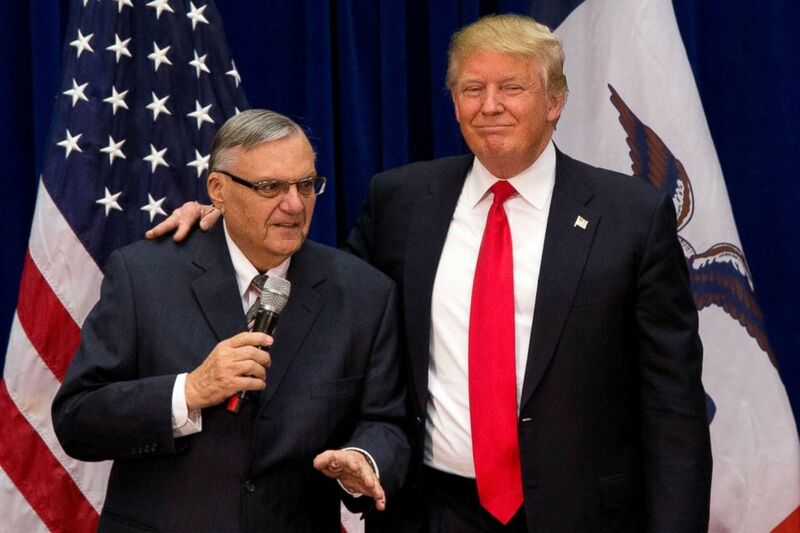 The loud and boisterous Arpaio was convicted of contempt of court in July 2017 and pardoned by Trump a month later. And Ward had a controversial moment of her own when, after McCain announced he was battling brain cancer, she suggested he resign as quickly as possible and the governor appoint her to his seat. McSally is seen as the best chance to defeat Rep. Kyrsten Sinema in November and hold onto to retiring GOP Sen. Jeff Flake’s seat. Then there’s Indiana, which is having one of the nastiest GOP primary contests in recent history where all three candidates are slinging mud at one another. Rep. Todd Rokita and Rep. Luke Messer have particularly hit each other hard with unfavorable stories coming out about each of them: Rokita’s use of a personal driver and Messer’s past DUIs. Meanwhile, businessman Mike Braun is outspending them both to raise his name ID. There are some fears the battle between Messer and Rokita could result in Braun receiving the nomination to battle Democratic Sen. Joe Donnelly in November. “That’s the kind of the primary that no matter who comes out of it, they may carry a good deal of damage because of the primary,” Ayres said. The other primaries that could see bitter battles brew include the one for the Mississippi special Senate election where conservative Chris McDaniel is challenging appointed Sen. Cindy Hyde-Smith, who used to be a Democrat before she switched parties in 2010. And then there’s the battle to take on Democratic Sen. Tammy Baldwin in November. State Sen. Leah Vukmir is backed by more establishment types like former White House Chief of Staff Reince Priebus while conservatives like Kevin Nicholson, who got $1 million in support from John Bolton’s super PAC. ABC News’ Soo Rin Kim contributed to this report.